Psoriasis is a non-contagious, lifelong skin disease that affects as many as 7.5 million Americans including Kim Kardashian. Though there are several different types of psoriasis, the most common type is called plaque psoriasis. Plaque psoriasis causes red, raised lesions (patches) that produce dead, flaky skin cells (scales). Psoriasis can affect any part of the body, but the knees, elbows, lower back, and scalp are the most commonly affected. Sea Buckthorn has been historically used to treat skin disorders in Eastern medicine for centuries, and is now being touted as a natural remedy in an effort to treat periodic psoriasis flare-ups. Seabuckthorn oil may alleviate symptoms of eczema and psoriasis, and promote tissue regeneration. According to the Rosacea Support Group, Sea Buckthorn oil contains palmitoleic acid (Omega-7), a component of skin. In addition, Sea Buckthorn oil has antibacterial, anti-inflammatory and regeneration-promoting properties, and contains essential fatty acids and tocopherols, vital for maintaining healthy skin. Learn about sea buckthorn for skin care. An ingredient of the oil, palmitoleic acid (Omega-7), is already considered a valuable topical agent in treating burns and healing wounds. 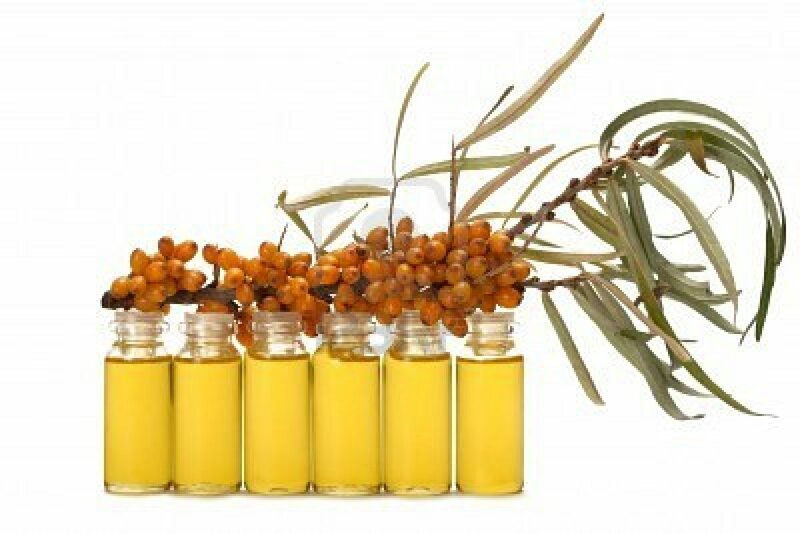 Various researches suggests that this essential fatty acid can also nourish the skin when taken orally when adequate quantities of sea buckthorn or its oil are consumed; and that this is a useful method for treating systemic skin diseases, such as psoriasis and atopic dermatitis. Read about sea buckthorn’s omega 7 content. Unlike rosacea, which is generally harmless, psoriasis is generally caused by immune deficiencies and has been linked to more serious problems such as heart disease and arthritis. A variety of topical treatments may help improve symptoms of psoriasis, including steroid preparations, but as we all know, most chemical based medications can trigger unwanted side effects such as, nervous system problems, heart failure, and or, liver problems. Sea Buckthorn oil is already widely used alone or in various preparations topically applied for burns, scalds, ulcerations and infections. It is an ingredient in sun block. Sea Buckthorn oil has UV-blocking activity as well as emollient properties and it is an aid in promoting regeneration of tissues. Though there is no way to get rid of psoriasis, you can try to help avoid annoying and painful outbreaks, help your body recover more quickly and ease your symptoms with Sea Buckthorn oil. Learn more about sea buckthorn and rosacea relief. Important Therapeutic Uses of Sea Buckthorn (Hippophae): A Review, Journal of Biological Sciences, Alam Zeb, 4(5): 687-693, 2004. 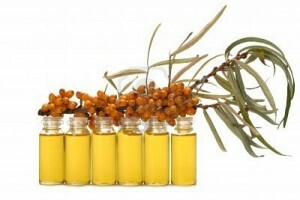 16 Responses to Is Sea Buckthorn Oil the All-Natural Psoriasis Remedy You’ve Been Waiting For? I didn’t realize Kim Kardashian had Psoriasis! Maybe she can try sea buckthorn for us all and prove it works? I’ve read A LOT about it on the internet but am still skeptical …. guess that’s my nature though I’m slow to adapt. Sea Buckthorn does have a natural smell. The seed oil is a bit nuttier if you will and the berry oil is a bit fruitier. Of course scent is subjective but that has been our experience. You can always try a sea buckthorn cream or lotion for external use that is scented OR add sea buckthorn oil to your current skincare products. We’ve never heard of sea buckthorn oil burps! Usually people enjoy taking sea buckthorn oil as a vegan Omega 3 source WITHOUT the nasty and oh so common fish oil burps. does the oil become on special at any time? They come in capsules? How much is 60/ or 90 capsules of 1000 in a bottle? what is cost of shipping to Toronto. Do you have an agent in Toronto who is selling it. Have you seen improvements after taking the oil for a month. How many caps. does one need to take per day. Is the unrefined oil better for the body like say olive oil is? Can one use the same oil caps. on the areas of the body with the plague? This site does not sell sea buckthorn, we are purely an educational site. If you browse through the site, you will see sponsored ads and you will be able to buy products from those companies. Doseage and how many pills come in a bottle vary from seller to seller, so once you find a company you’d like to purchase from you find answers to all of your questions there. Gel caps vary from company to company but usually you can definitely break open a gel cap and use it externally too. You will most likely get even better results if you are using it directly on your skin as well as taking it internally. In terms of how long it will take to see results, everyone is different. Some people see results right away and for others can take a little longer. There are many factors which determine how quickly a supplement will work on an individual so there is no way to say for sure. From what I’ve seen, there are few unrefined or “raw” sea buckthorn products on the market. The only ones that I’ve seen are akin to a slurry or smoothie type of products that contain the whole berry crushed up. It is preferable to get sea buckthorn oils in some form because the oils that come from the berries and seeds of the plant contain the most of the beneficial omegas and vitamins and nutrients. When shopping, try to find a product that is uses a CO2 super critical extraction process. That is the cleanest way to extract oils from a fruit and there is no chance of chemical contamination. I’ve found that Mountain Rose Herbs Cold Pressed Certified Organic Sea Buckthorn oil to work wonders for my psoriasis. I also use their dead sea salt and hempseed oil to care for my psoriasis. Another product I use is Pure Extra Virgin Cold Pressed Coconut oil. The benefits are endless. I know someone who’s had success with black seed oil, I haven’t tried that yet. So far Sea Buckthorn, hemp seed and coconut oil along with an anti inflammatory diet have cleared my psoriasis 80% in a year. I have been taking the oils for 5 months and my skin has improved. I have an auto-immune disorder that caused over 50% of my skin to ooze, painfully. I started treating with natural remedies 5 years ago when the MD’s refused me the medication that caused liver and kidney damage, but made life bearable. My skin had been improving but was so thin it could not sustain dryness and would tear with the least pressure, especially on my hands. I can now with cream and oils go with out gloves for extended periods of time. In this day and age of anti-biotic resistance I was quite horrified, I will be planting Sea buckthorn bushes this year and drying my own leaves and may soon be harvesting the fruit for juice. I am in Collingwood area and it should be a good place for them to grow. Do you live in Collingwood, Ontario. I am currently undergoing Chemo Therapy and I am 59 years old. I have never really been sick, except for the normal flu or cold in Winter. Now I am weak, fatigued beyond description, and developing cognitive laps. I want to know if anyone else out there had a positive result to Chemo/Radiation therapy after using Sea Buck Thorn oil or seeds. Did you get a chance to read this post on our site? It has some great information that I think will be helpful to you. You may also want to post under that article to see if you can get some responses from other readers there. Hi Mary I’m a cancer surviver 6 years now stage # 3 colon cancer.. I chose not to do the chemo and radiation and had my tumor removed… I went on a Raw organic vegtable diet and survived the cancer and the battle any advice I would give anyone with cancer is nutrition is the most important for your body to heal itself and get sodium bicarbonite to the tumor area.. Cancer is a lifestyle change process that you must adapt to but it is not a death sentence… good luck with your fight. I fight on! Mary, I assume you did your Chemo/radiation treatment since your post was in 2014. You need to boost your immune system with GcMAF. There are clinics in Japan, Nevada, and Arizona that administer this treatment. 5. drink fresh orange juice a lot. 6. think like you will recover soon. 13. do breathing exercise as much as you can. learn about bastrika pronayama. according to yoga only breathing exercise itself can cure cancer. send me email if you need more help. My husband saw the profit episode of sea buckthorn oil and he was thinking about getting it for me because my daughter and I both have psoriasis on our scalps. Mine is way worse than hers. I hate it. It’s so embarrassing. I was thinking about trying it out but I don’t know if it would work or not on us?? 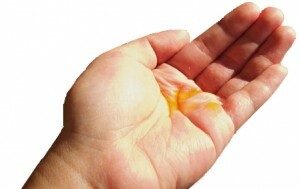 Yes sea buckthorn oil could help for your psoriasis. We’d recommend taking a blend of the seed and berry oil orally and perhaps doing treatments of the pure oil on the scalp once a week.